Hotel Suraj Grand, Kurnool was suggested by our cousin who stays in Hyderabad and makes frequent trips between Bangalore and Hyderabad. This choice did not disappoint us at all and we had a sumptuous breakfast there. Looking at menu, I was surprised to find Mysore Bajji. In Bangalore, it is called Mangaluru Bajji and in Mangalore, it is called Goli Baje! Continuing our journey, which was around 200 km from Kurnool, we could reach Hyderabad at around 2 pm. Our cousin was waiting for us at outer ring road and at his home, Mangalorean chicken curry was ready to the delight of the tired guests! Golconda Fort : After relaxing for a while, in the evening we unanimously agreed to go to Golconda Fort. When we reached the entrance of the fort, it was jam-packed with vehicles owing to narrow streets leading to the main fort. Though we could make it to the fort, with fading sunlight, it was not a right time to explore the historical fort, first built by Kakatiya dynasty. Nevertheless we could enjoy the panoramic view of the Hyderabad city from the fort - a fascinating sight indeed! 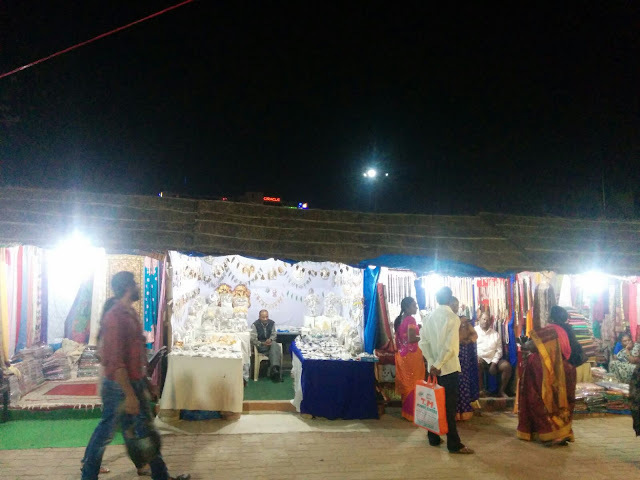 Shilparamam : Our next destination was Shilparamam, the arts, crafts and cultural village, spread over 65 acres in Madhapur, Hi-Tech city, an upscale part of Hyderabad. It is an ideal destination if you want to buy crafts, decorative items for home. Neatly maintained place has a bustling crowd anytime. Near to Shilparamam is the night bazar, which is open till 2 am. By the time we could finish our roaming around Shilparamam, it was time to call it a day! Your trip is very informative.Thanks for sharing it . 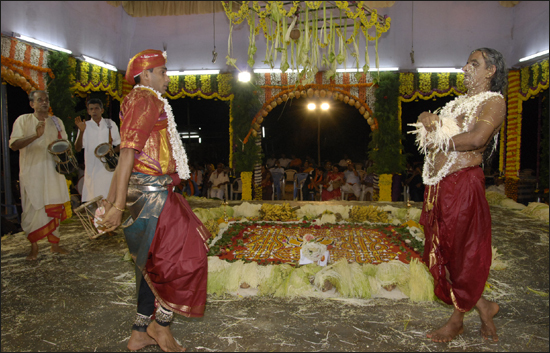 Kurnool is known as the Gateway to Rayalaseema. It is a famous tourist destination and there are many places to visit in Kurnool and around it. Its a must visit place. Thanks Debosmita. Before next visit, I will make sure to check out the places you have listed. Looks like Belum Caves is a must visit!